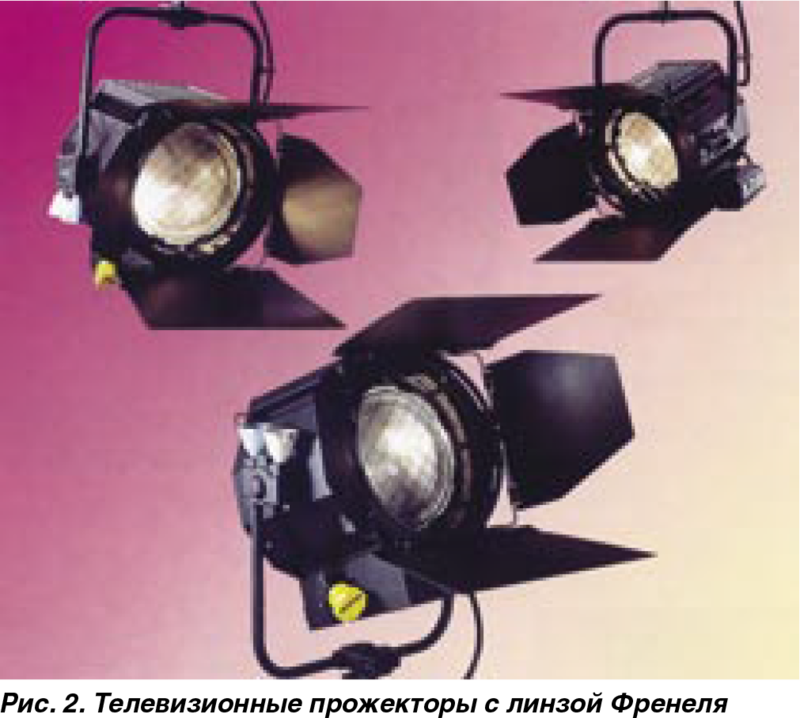 Lighting devices. In the market of lighting equipment for theaters and TV studios, the lighting devices under the ADB brand are widely known not only in Europe but also worldwide. 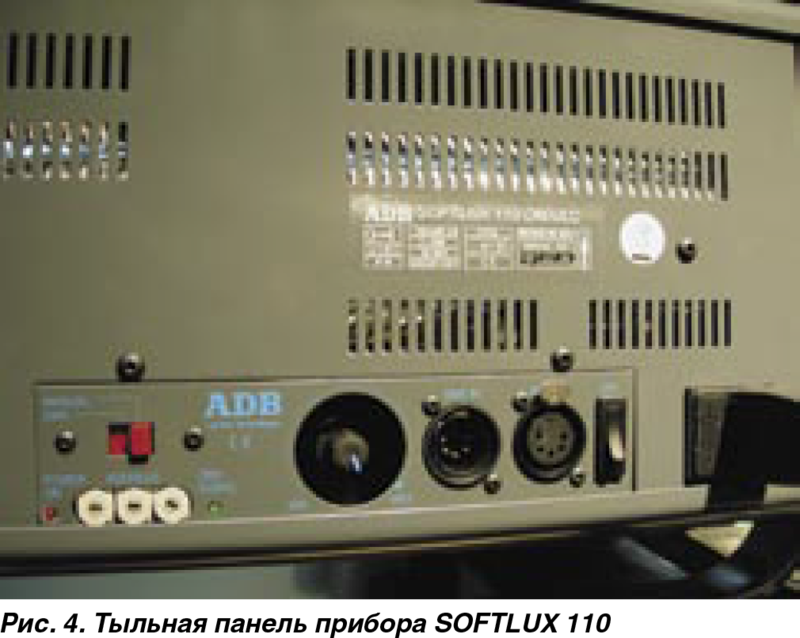 For over 80 years, ADB has been developing and manufacturing lighting equipment and lighting control systems, being a pioneer in the development of key technologies such as digital dimming, programmable control systems, condenser optics for theatrical spotlights, etc., This company has a solid position as one of the leading manufacturers of stage and studio equipment. The range of the company’s activities is extremely wide – from traditional lighting to motorized suspension systems with computerized control. A separate mention should be given to the work aimed at the systematic integration of products made to create easier solutions for equipping studios, theater halls and shooting pavilions. After all, the main components of stage and studio lighting equipment, such as equipment, control pannels, dimmers, network equipment and motorized lifts, are made at the production base of the company. All of them are based on the developments of ADB engineers, which is a guarantee of compatibility of all components of the system, simplicity and the convenience of installation, the possibility of building and upgrading the complex in the future, making work easier for the user. The history of the company began in the distant 1920, in Belgium, from a small family-owned enterprise specializing in the production of equipment for theaters. In 1987, ADB, an outsourced lighting company, consisting of several manufacturing companies in Belgium and France, and a subsidiary in Germany, was acquired by Siemens Group, which, of course, has strengthened its research and production potential, allowing it to go deeper into the knowledge-based development of intelligent control systems. In March 1999, all of the activities of the company in the field of theater and television technologies were united under the new logo ADB TTV Technologies S.A. The new name emphasized the direction of the company’s activities (ADB literally – theatrical and television technologies) in the most convenient way possible. Reorganization of the company was not limited only to the change of name. The plant in France where the main production facilities for the production of lighting, control systems and suspensions are located. went through the major upgrade and expansion. The output of all dimmers, according to the long-term contract, is concentrated on the modern Siemens plant in Belgium. Research and development departments, as well as marketing and sales departments, are located right there in Belgium. ADB has an extensive network of sales offices in more than 50 countries in Europe, Asia, North Africa and America. Building on its many years of experience and modern science and production base, ADB is confident in seeing ahead into the future, offering more than 200 products to the market for professional lighting equipment, that meets the highest requirements for quality, safety and reliability. 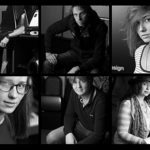 Of course, in the framework of this article it is impossible to look in detail at all of the products, so I will look only on the most interesting things in terms of equipping TV studio solutions. Starting a conversation about ADB products, it should be noted that in all segments, the company is trying to produce a complete line of equipment that meets the most diverse requirements of users of all levels. There always is a place for products, for small, budget solutions, and for complex systems. Using them you can make a small mobile kit, as well as build a multifunctional stationary installation. So, if you look at the range of light control panels, then the user can find exactly the same remote that meets his requests – from the simplest, designed for only a few control channels, to powerful workstations for managing several thousand channels. 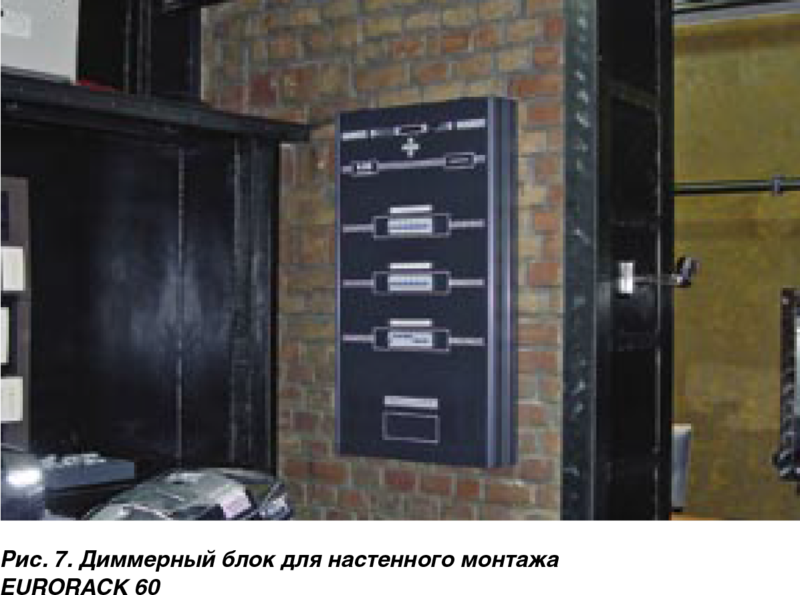 A range of manufactured dimmers allows you to create small, distributed or mobile dimmer systems, as well as build terrestrial lines for several hundred channels of different capacities. If the question arises about the choice of lighting devices, the ADB catalog will have devices for equipping studio of any size and purpose. For the construction of the suspension they offer a wide range of tools – from the simplest pantographs for small studios to motorized shutters and telescopes with a computerized control system for large multifunctional shooting pavilions. Among the lighting devices produced by ADB for television studios, you can find both traditional lighting equipment, spotlights with incandescent lamps, and ultra-modern “cold” sources for fluorescent lamps. Among operators the most popular were projectors, lighting fixtures with a Fresnel lens and a halogen lamp, which became an integral part of the equipment arsenal of virtually any TV studio due to its simplicity and versatility. ADB emits three types of Fresnel lens for TV studios with 1000, 2000, and 5000 W lamps, in two modifications – Studio and Compact. 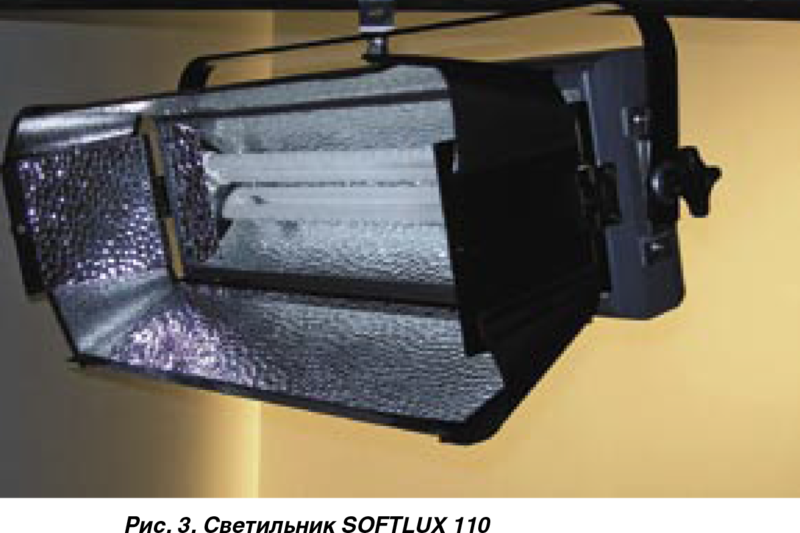 Designed to meet the high requirements for TV sets, they are equipped with a high-quality Fresnel lens, which provides a light spot with smooth fringes and a uniform distribution of illumination throughout the spot, allowing you to change the characteristics of the beam from a dense, clear bundle to evenly blurred. Rotating curtains allow you to adjust the border of the light spot. The devices are available in two versions: with the direction of the light beam vertically and horizontally, as well as its manual focus or control using a pole. The inner and outer walls of the case, the front panel and the rear cover are welded steel sheet constructions. The front door and lens holder are cast from aluminum. The body is covered with powder paint, the color is black, matte. The heat removal from the appliance is designed to prevent parasitic illumination. Particular attention was paid to the development of units for connecting parts of the body, taking into account measures to prevent unwanted noise from the thermal deformations of the body when it is heated or cooled. Quick and easy access to the lamp and the focusing mechanism – through which the front door opens with a simple and reliable locking mechanism. The mechanism of positioning the beam of the device with the help of a pole is based on the friction transmission with compensation of backlash, which ensures smoothness and accuracy of its positioning regardless of the angle of inclination and temperature of the case. Handles and controls are made of heat-insulating materials. The idea of the use of fluorescent lamps for the construction of lighting devices initially attracted the attention of developers, but the imperfection of the material base did not allow it to translate into reality. The impossibility of brightness regulation of luminescent lamps, the presence of flickers, linearity of the glow and low color temperatures, all of these have become the negative factors that undermine all the advantages of these light sources. However, the emergence of electronic starters and technologies that allow manufacture of lamps with the required characteristics, made fluorescent lamps subject to the keynote of the leading manufacturers of lighting equipment. The company ADB, having released a line of SOFTLUX fixtures, which uses fluorescent lamps – fixtures with a capacity of 55 watts, has not remained aloof about modern trends. In different device modifications, 2, 4, 6 or 8 lamps are installed. What are the advantages the usage of such fixtures compared with traditional ones? Firstly, SOFTLUX lamps are 3-4 times more light output (lm / Wt) than incandescent lamps. Therefore, their usage is more comfortable for people who are subjects of shooting, resulting in lower power consumption, heat dissipation, which in turn reduces the cost of ventilation and air-conditioning in the studio room. Secondly, lamps used in luminaires SOFTLUX, have a lifespan of about 6,000 hours without changing the color temperature in the process of aging, which is 10-20 times the life of halogen lamp. Thirdly, smooth adjustment of brightness lamps SOFTLUX occurs without changing the color temperature and can be made from any panel that supports the DMX 512 control and / or regulator located on the control panel of the device. In addition, the special design of the reflector of fixtures SOFTLUX allows you to get one symmetrical beam and thanks to the usage of fluorescent lamps with electronic high-frequency ballast, eliminating visible flicker (frequency of about 50 kHz), is a powerful light source, combining versatility and ease of operation. The instrument variables of the grid allows you to get the angle of the beam field of 20 °, 40 ° or 60 °. In addition, the correction of the beam can be carried out with the help of four petals included in the delivery. At the request of the customer, the device can be completed with color temperature of 3200 or 5600 ° K lamps. The SOFTLUX line also includes devices with lamps 18 W or 36 W. Lamp case – lightweight, mechanically durable construction, made of stamped aluminum parts, painted with powder paint, the coating is semi-gloss, the color is dark gray. The fixture of the device – a steel lire with a fixing element, which prevents unwanted displacement and vibration of the device. The construction of the Lyra allows you to fix and balance pf the device in any position, and is also available in the version controlled by the position of the beam using a pole. 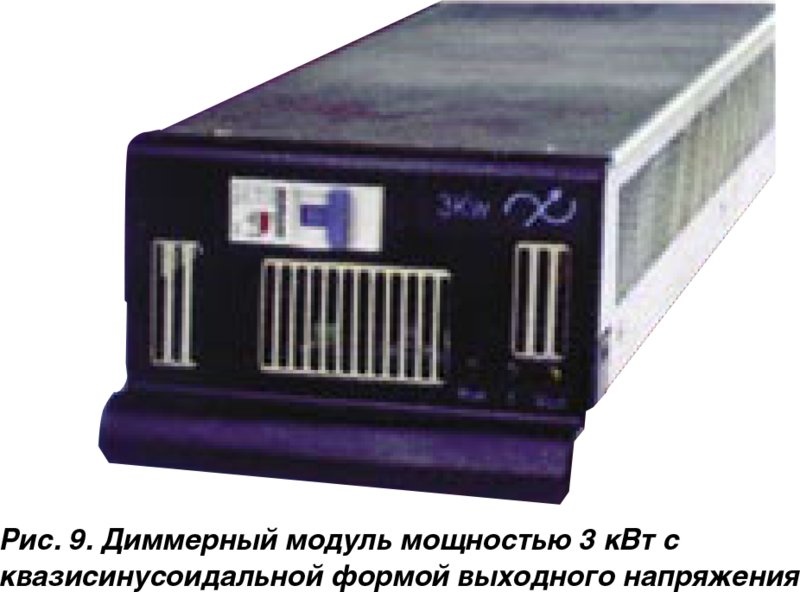 Power supply – AC 230 V / 50 Hz. The power connector is located on the rear panel of the appliance. There are also XLR connectors for connecting the DMX 512 control signal, address switches and brightness control knob. The control of the brightness of the device can be done from the remote control via the DMX 512 protocol, and when the level of intensity is lower than 15%, the special relay function turns off the lamp, also it can be done manually with the regulator on the back panel, which is especially useful for small outdoor productions. To manage lighting in the studio, ADB offers a wide range of MEMOPACK, MEMORACK, EURORACK 60 and EURODIM 3 series dimmer blocks, the characteristics of which (in particular high-quality output voltage filtering) are adapted to work in a TV studio. 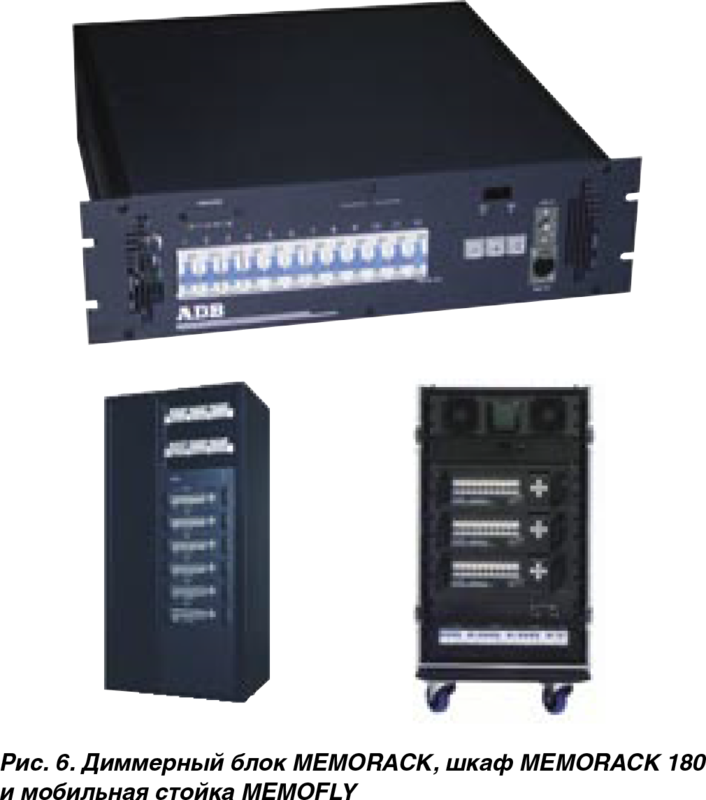 MEMOPACK series digital power units are the perfect solution for building a distributed dimmer system. The block is made in the body, reminiscent of the form of a computer system unit, equipped with a handle for carrying and rubber legs for installation. It can be placed in any convenient place, exactly where there is currently a need for dimmer channels, which is very convenient for organizing small mobile kits for filming outside the studio. The devices are connected directly to the output terminals located on the back of the dimmer (the type of connectors can be changed at the request of the customer). They release blocks of 6 or 12 channels, with a capacity of 3 or 5 kW / channel. Dimmer power supply is three-phase 230/400 V (three phase + neutral + protective ground) 50 Hz. Control – any remote control that supports the DMX 512 protocol. It is also possible to work offline, without external control, in this case, the control is carried out using the system menu, whose interface, like the connectors for connecting the control signal, are located on the front panel of the block. Centralized connection of the power supply and control signal allows to simplify the process of mounting / dismounting of the dimmer units in the cabinet, which is important for the preventive maintenance and maintenance of the equipment. Installation and connection of dimmer blocks are carried out on the front side of the cabinet. In the same cabinet, blocks of different types (with a power of 3 or 5 kW / channel) can be installed, in this case the total number of regulated channels will be reduced. Power, load, and control signal to each dimmer unit are connected from the rear side of the Harting type connectors. For small studios where there is no possibility to allocate a separate room for the placement of dimmers or this room is very small for large cabinets, ADB offers a special solution – the EURORACK 60. This is a compact fully digital dimmer unit for wall mounting. 24 Channels of Controlled Relays of 3 KW / Channel. The housing unit of the dimmer unit has a compact and durable aluminum frame construction with sheet steel cover specially designed for wall mounting. The front panel consists of three removable covers, which provides quick access to all internal components. Connection of the power supply, load and control signal – the terminal block inside the illumination case. Cable laying is at the bottom of the casing. Thyristor power regulators are designed for connecting incandescent lamps with 220-240 V supply voltage, resistive and inductive load, low voltage lamps with transformer transducers, fluorescent lamps with ballasts, having phase control. The protection of thyristor regulators of each channel from overload is carried out with the help of a one-pole magnetoelectric circuit breaker. DMX controlled relay units are recommended for controlling specific load types that are not compatible with thyristor regulators, such as ballast of metallogoloid lamps or various electronic devices. Blocks with relay channels of 3 or 5 kW can be connected to any type of load inductive or capacitive nature. The dimmers used a convection cooling system with stamped aluminum radiators and forced ventilation using two automatically switched on low noise 12 V fans. In case of overheating of the case it is possible to smoothly deactivates the loadt hanks to the automatic system. Power supply is three-phase 230/400 V (3 phase + neutral + ground), 50/60 Hz with a maximum load of 90 A / phase. The voltage phase is the neutral should be 200-264 V. Power channels are designed for long-term work at nominal level of load of 3 or 5 kW (depending on the type of block). The total power of the load connected to the block is 60 kW at ambient temperature to + 35 ° C (in the presence of ventilation). The EURORACK 60 dimmer control system provides standard diagnostic functions such as: determining the supply voltage and control signal, controlling the processor, checking for short circuit, determining the temperature and fan capacity, testing each dimmer channel, monitoring the DMX control signal, as well as indication of all the parameters listed above in real time. At the request of the customer, in addition to the standard functions, load testing functions may be added, including the determination of the load capacity connected to each of the dimer channels, its deviation from the declared value, the absence of load, overload of the channel, short circuit and failure of the thyristor. To control the dimmer, any control panel that supports the DMX512 / 1990 protocol is suitable. 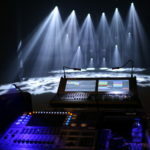 An order is made for systems connecting two DMX control lines with independent addressing. It is also possible to work offline, without an external console. The rack can also be equipped with modules of various types. Power supply is three-phase 230/400 V (3 phase + neutral + ground), 50/60 Hz, maximum power consumption is up to 270 kW. The maximum load that connects to each channel is determined by the type of dimmer module and can range from 3 to 10 kW. For cooled modules forced ventilation is used by six fans. The power of the fans is regulated, depending on the temperature of the modules. The current mode of each of them is installed and displayed by the control system separately. – a programmable response to the disappearance of the control signal, for example, the transition to one of the light scenes recorded in the memory of the processor to a given transition time. To improve the reliability of the system, the dimmer stand EURODIM 3 can be equipped with an additional processor unit, which works in parallel with the main and “catch” the control in case of its failure. Improve the characteristics of adjusting the brightness of incandescent lamps, get rid of the noise in the studio,that is typical for working with thyristor regulators, and reduce the level of electromagnetic interference can be used when using new models of dimmer modules with quasi-sinusoidal form output voltage. ADB has released two types of modules with a capacity of 3 and 5 kW / channel, which can be easily installed in the EURODIM 3 rack, as well as conventional thyristor modules. As a key element, they use powerful field-effect transistors. Electronic chains of the correction of the power factor minimize the phase shift between the current and voltage in the chain when connecting the reactive load, which allows to connect even modular metal balloons with electromagnetic ballast without fear of causing a short circuit in the current. Despite the serious constructive differences of all the dimmers described above, the control system of each of them was developed on the basis of common principles of construction. 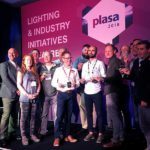 Due to this, these lighting devices were maximally adaptated for joint work, which allows to build branched dimmer networks for large studio complexes, using different types of dimmers and unified control methods. 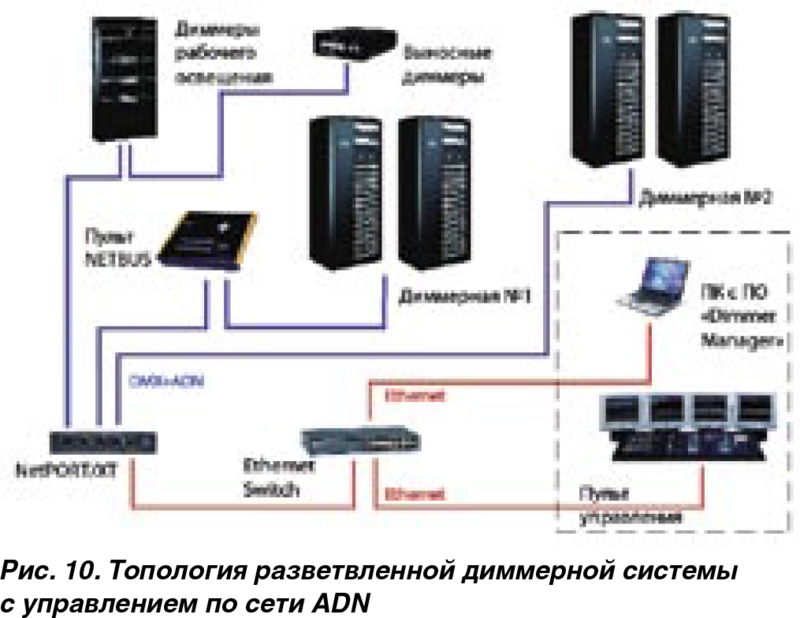 To manage such extensive networks, ADB’s specialist ADNP (Advanced Dimmer Network Protocol) has been developed. With this protocol, all MEMOPACK / EMORACK / EURORACK 60 / EURODIM 3 series dimmer units can be networked using a DMX cable for a specially designed bidirectional protocol. ADN allows light operators to remotely perform all dimmer settings, monitor block performance and receive error messages on the remote control of the dimmers NETBUS or on the computer monitor screen, without leaving the hardware, which is important in the extended structure of power networks when the dimmers are located in Different places or one Dimmerna works for several studios at the same time. Dimmer management on the ADN network can be done using the NETBUS console or the computer with the installed software “Dimmer Manager”. An example of constructing a dimmer system of a large hardware-studio complex with ADN network management is shown in Figure 10. – Review the status of each of the dimmers connected to the network. – software package Dimmer Manager, which allows you to set up and monitor the status of home-owners, connected to the network, using a personal computer. – downloading saved settings from computer to dimmer. Looked at some of ADB products within the framework of this review of equipment (fixtures) — we can say that its is only a small part of equipment offered by the company. 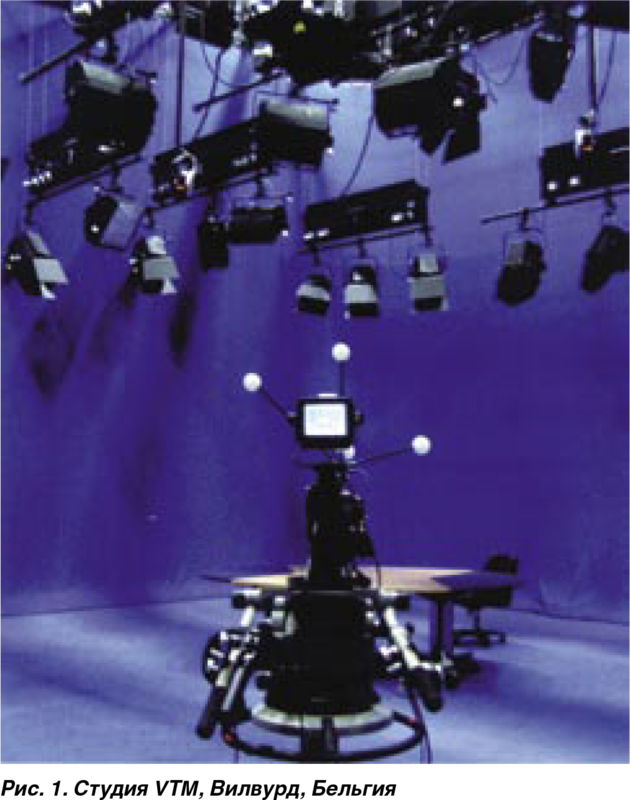 An overview of other components of the staging lighting system for equipping TV studios, such as suspension systems and controls, is still ahead. However, even with such a brief excursion, we can see the serious system approach of the company to the development of equipment, which allows combining separate components into integrated solutions that meet the modern requirements for the organization of staging lighting in television studios of any level.